Hi C&V... after falling into this Bridgestone, I figured I'd post a thread with a few pictures. Sure, these aren't as special as many (most?) of the rides I see here, but I'm very excited about it. I just became a student again, so for now I'm just putting on parts to get it up and running in a cheap way... eventually I may like to strip and powdercoat it and give it some nice shiny stuff. I live in a condo so the outside wall will have to suffice vice a garage door. All in all the bike is in great shape. There are a few scratches and rust spots here and there, but everything works well and all the equipment (even the tires!) appears to be original. There's even fresh grease on the seatpost, and I haven't found any seized threads (yet...). All I've done is add some fenders (SKS Commuter model... not overly impressed), a Topeak Explorer rack I had lying around (this bike doesn't have rack braze-ons, kind of a surprise... I hate P-clips), and some cheap plastic toe cages while I wait for some stainless ones to arrive. I also put my B17 on, which I still don't love. I dunno. - new stem. 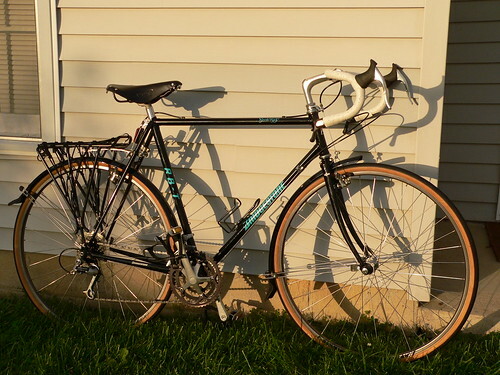 the bike's a little long for me right now, but a new stem is on the way and will give me a nice "french fit"
- maybe find a different rack that mounts to the brake bridge or something. we'll see how the p-clips hold up. Very nice ride, it should serve you well. 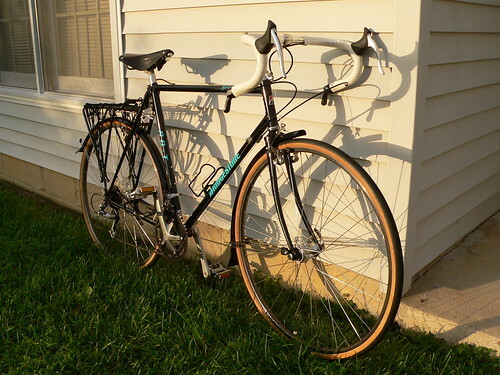 Have you shopped Rivendell or Velo Orange? Lots of nice french looking stuff if that interests you. A rack like the Nitto M12 should fit your canti bosses. But they sure ain't cheap! You can actually find them for sale used frequently. So, if the "T" doesn't stand for Touring (which would mean it would have many rack eyelets) what DOES it stand for? 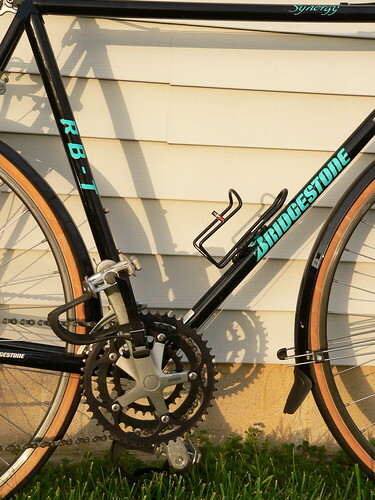 My understanding is that the RB-T was more of a "sport touring" bicycle than a full-on touring bike. 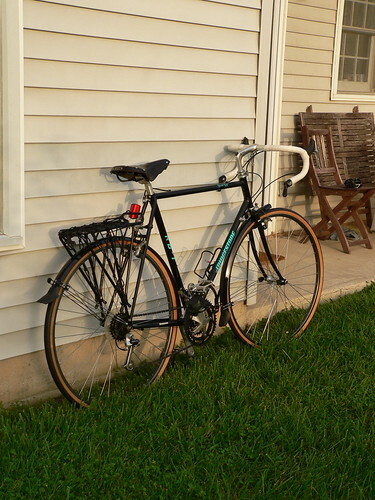 I put the rack in the photo on using p-clips. It's a Topeak something-or-other. Recently though, I bought myself an early Christmas present: a Carradice Nelson Long Flap and a Bagman support rack. It's much more appropriate for my needs (and more attractive too!). I'll see if I can get a couple good photos in the next few days. I've really grown fond of this bike. I like it...gorgeous bike and looks like a fun tourer. It almost has cx geometry.